You are an entrepreneurial and independent individual, seeking to operate your own business and share your enthusiasm and passion for outstanding customer service: rely on our knowledge and the experience of a renowned brand ! Your working life matters! With us, you will enjoy spending time helping clients through our wide range of fine and quality products, for their pleasure and yours! Women’s and men’s wear, whisky cellar, rum, beers, teas, food specialties, gifts... A wide variety of products helps with seasonal adjustments. Except for the buzzing winter time! 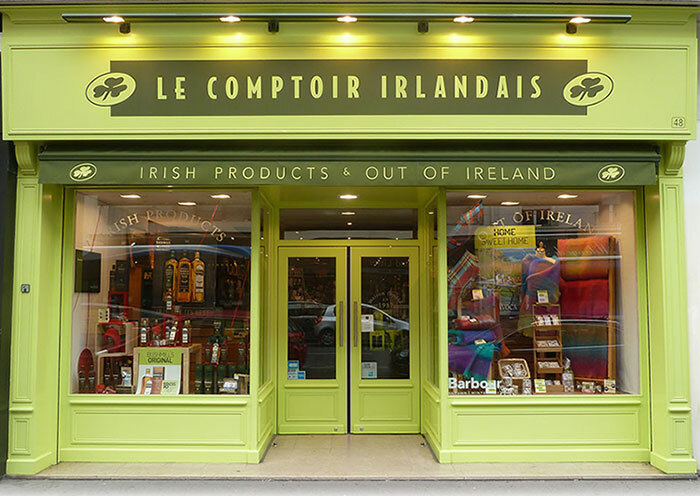 Le Comptoir Irlandais was born on the port of Brest in 1987. The brand is now strong of 43 stores all over France. Reliable, secure, operational, Le Comptoir Irlandais is a human sized network that checks every box for an optimised investment and fulfills your project requirements. Do not hesitate to send your contact details through our contact form, and receive an application file today.